As a result of my last post (29er deals), someone asked if I had a mailing list. With the advent of being able to subscribe to posts using RSS I hadn’t given much thought to creating a mailing list. However since it won’t take much time to do, I figured I’ll create one anyway. If you want to be added to the mailing list add your email to the box below and submit it to me. I’m not sure how often I’ll do a mail out but given it’ll be less than my posts here, you’ll probably get an email about once every 3 years! I’ve got a limited number of tubesets available for 29er builds. 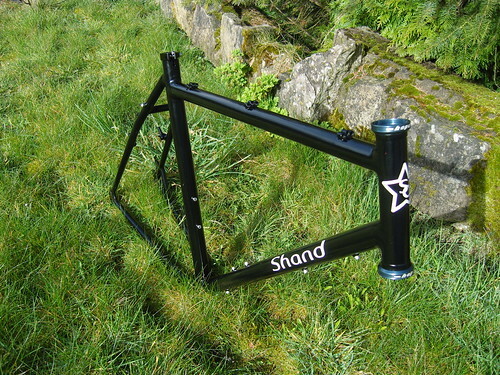 I got these tubesets really cheap and I’d like to turn them over ASAP so it looks like I can do a 29er frame, fillet brazed, full custom geometry, breezer drop-outs (or ss), single colour powdercoat for about Â£500. As well as limited tubesets I’ve also got pretty limited slots available in the build diary so if you’ve been thinking about a 29er let me know. Things have been pretty busy. Just back from a week in tenerife. Pete’s bike is finally done, lots of things conspired to make this build late so thanks for the patience Pete. It’s off to China. To see the kind of riding Pete will be doing check out his fotopic site here. Next up is to finalise the designs for a couple of Rohloff off-road tourers for Robyn and James. I’d hoped to get the designs for these done about a month ago but they’ll get sorted now I’m back. Honest! The next build coming up is a rigid singlespeed 26er for Tim and then a Rohloff all-rounder 700 (or maybe 650B, hint hint) for Emma. It’s all good.